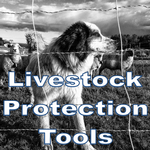 Welcome to the Placer-Nevada-Sutter-Yuba Livestock and Natural Resources Home Page! Click on the buttons above for specific information. Dan Macon, Livestock and Natural Resources Advisor: I serve as the livestock and natural resources advisor for Placer, Nevada, Sutter and Yuba Counties. Previously, I was an associate specialist in rangeland science and management at UC Davis. 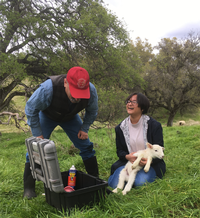 My research and extension activities are focused on ranch economics and business management, drought resilience, predator-livestock coexistence, and irrigated pasture management. I have a master’s degree in integrated resource management from Colorado State University and a bachelor’s degree in agricultural and managerial economics from UC Davis. We hold a variety of hands-on, production focused workshops and activities throughout the year. Check out the calendar of events to the right for upcoming events. You can also follow me on Twitter at @flyingmulefarm or on the UCCE Foothill Sustainable Ranching Facebook page at www.facebook.com/FoothillSustainableRanching/. Finally, you can subscribe to my quarterly New Foothill Rancher newsletter by clicking this link. 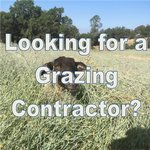 If you're in Sutter or Yuba County, check out my New Ranch Update newsletter. 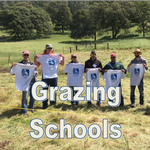 To schedule a ranch visit, please call me at (530) 889-7385 or email me at dmacon@ucanr.edu. To access Roger Ingram's archived newsletters, click on this link.